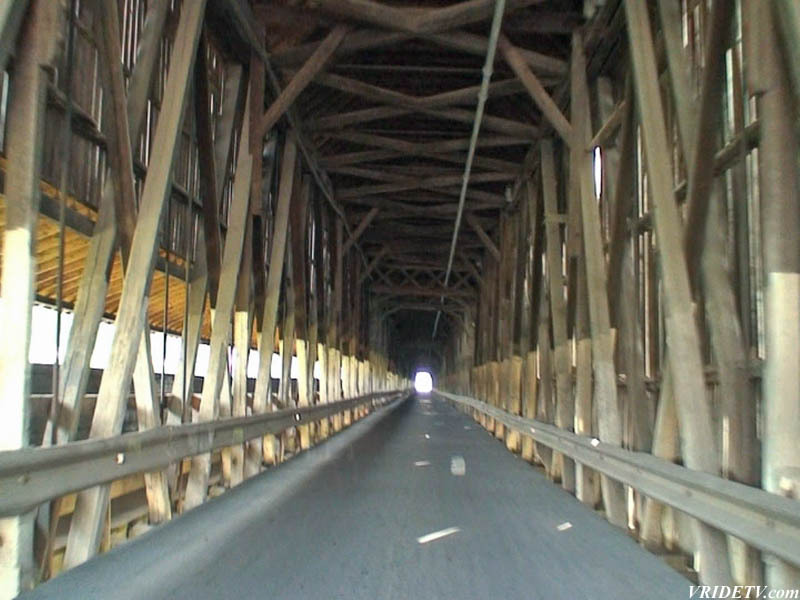 Motorcycle riding through the World's Longest Covered Bridge in Hartland NB. 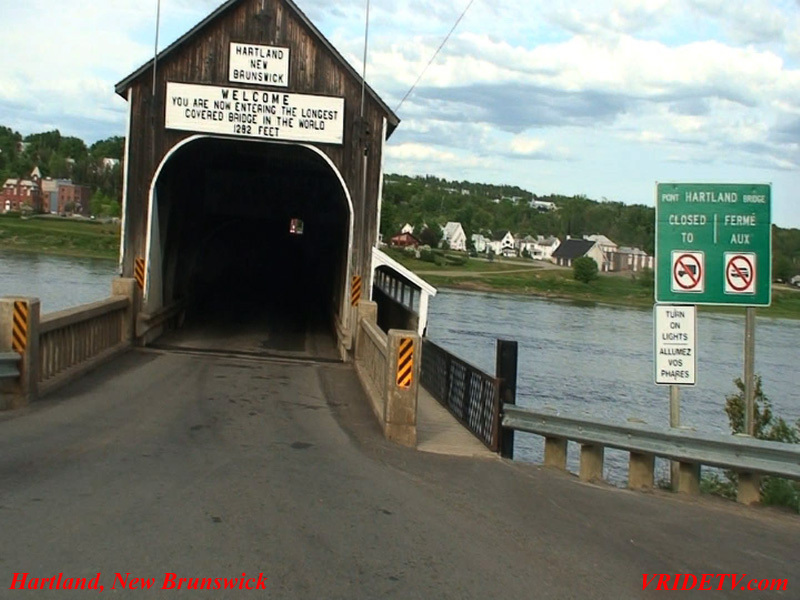 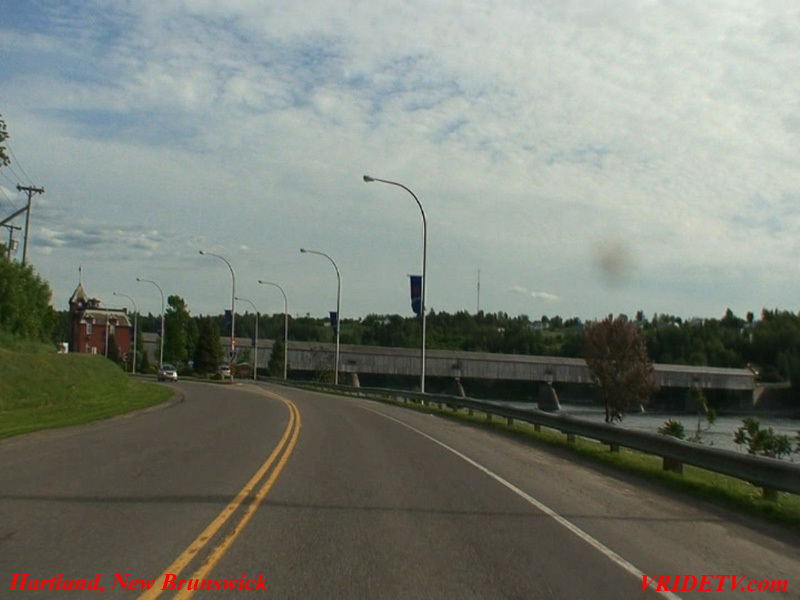 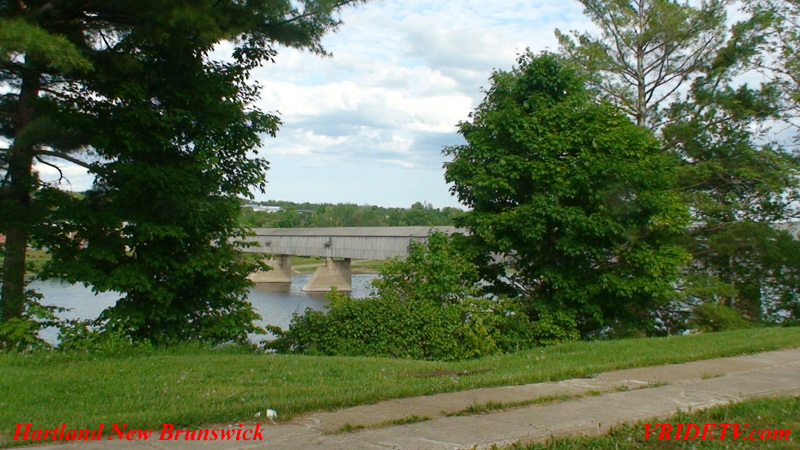 The World's Longest covered bridge is 1,282 feet in length and is located in Hartland New Brunswick, Canada. 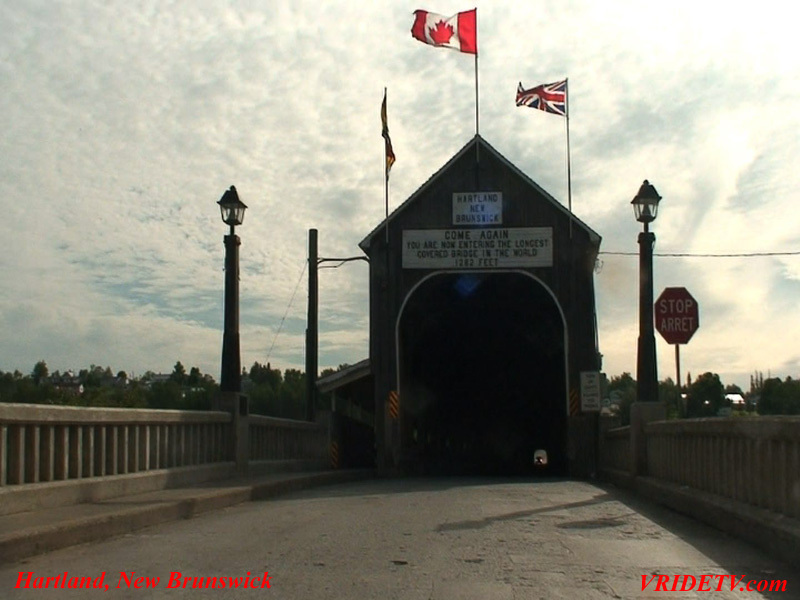 It was officially opened on July 4th, 1901 and was declared a National Historic Site on June 23, 1980.